The gaming landscape is as diverse as it has ever been. 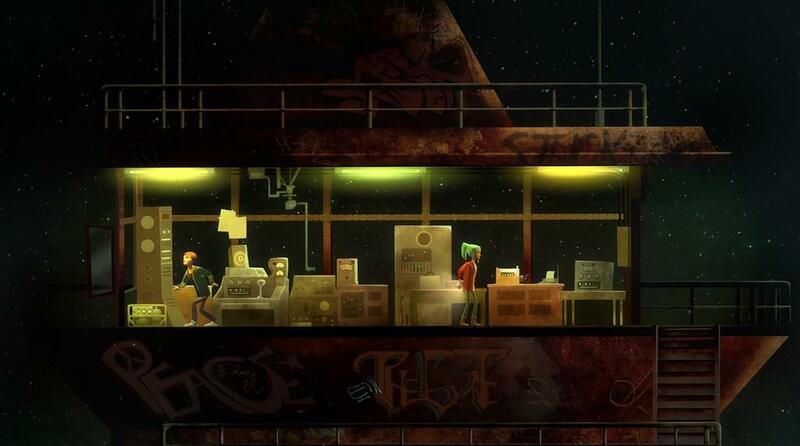 Which means we get to experience awesome things like Oxenfree, from Night School Studio. It’s been out since January on PC, but I’ve just now discovered it thanks to the PS4 release, and I’m really glad I did. 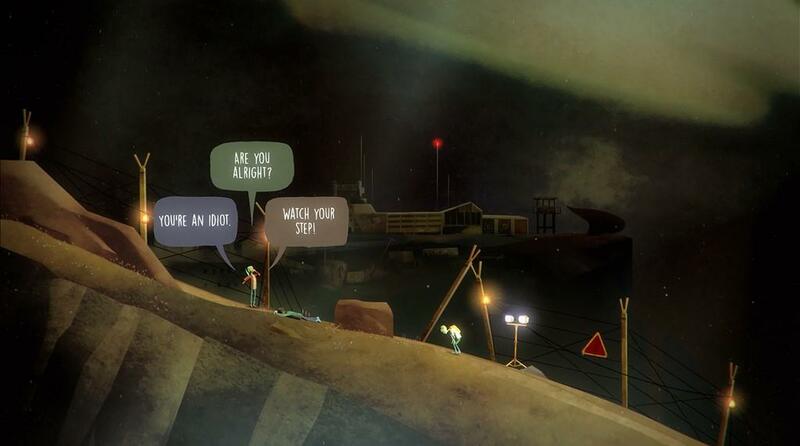 It’s been such a long time since I’ve finished again and immediately thought, ‘I need to play through it again right now.’ I’d honestly kind of forgotten what that sort of feeling was, and it’s funny because Oxenfree is a little bit less of a game and more of an adventure novel given an interactive form, featuring branching dialogs, multiple endings, and some of the best storytelling I’ve seen in a game in quite a while. Alex is a teen that many can identify with, she comes from a broken family, with a mother who is trying to mend her life, and has in turn has found a new step-brother who she’s meeting for the first time at the outset of the story. Jonas, Alex, and her best friend Ren are headed for Edwards Island for what is an annual school tradition, the Junior class spends the night on the beach, and experiments with various things as kids are want to do. One of the activities involves using a radio to tune in to various frequencies which causes some weird things to be heard. And this is where the story really begins. You’ll learn of the secrets of Edwards Island, a military accident, and what it all means for Alex and her future. I’d dig deeper, but I really don’t want to go into spoiler territory. One surprise that I didn’t see coming was the horror angle this all takes on, in a way that reminds me of old horror movies in the 80’s, stuff that easily gets under your skin, and pierces the moment at just the right moment. The game does have a share of jump scares, but they’re not excessive nor ill-timed, instead this game likes to go for more subtle and psychological plays to mess with you. There’s multiple endings to find as well, depending on how you interact with the other characters in the game, and what actions you perform. The gameplay is a simplistic 2.5D platformer, well, more like walking simulator, but I hate that term. You move from place to place on the island to various locales, like a dilapidated military barracks, or a radio communications tower, or the large forest. Each area has its own secrets as well, where your radio can be used to find some hidden and secret messages that give you more insight into what’s actually happened in the past and why the island has become a hotbed for supernatural activity. Throughout the adventure there is a ton of dialog, and it’s a pretty smart system, characters will start to repeat themselves if you happen to interrupt them with a response, the dialog feels pretty natural if a little hokey, and the acting is actually pretty good. A lot of what drives the story though comes from your own interactions with the characters. 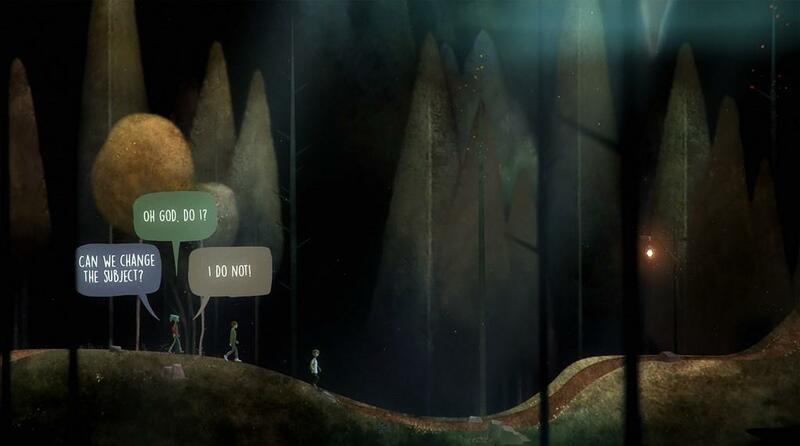 As the dialog is progressing, you’ll see three options mapped to the face buttons that give different responses that run the gamut from sarcastic to genuine, and at some points the characters will remember your actions and it will ultimately affect how the characters will treat you in future situations. You also can choose different characters to accompany you at different branches in the story, giving you more insight for how to navigate future playthroughs. You’ll want to play through this game a second time, especially after a recent patch that altered the end of the game ever so slightly. Like I said before, I immediately jumped into a second playthrough even though my first was completed a little after 2AM, I was that dedicated to continue the story. The first time through will probably take about six hours to complete, with subsequent playthroughs going much faster, though you may be inclined to find some of the hidden items that better explain the lore of Edwards Island that are definitely worth tracking down. The style of the game is rather simplistic, the character models aren’t terribly complex, but they are rather stylized, and the game is zoomed out just enough that the devs wouldn’t have to implement mouth movements for the characters but there’s a lot of body language to convey a character’s feelings at any given moment. The music for this game is also particularly catchy, and fits a lot of the mood of the game perfectly, from the mellow tracks that start this game, to the haunting tracks near the end of the game, there’s a lot of variety and it adds to the overall ambience. So I’m over the moon for this game, there has to be something wrong with this game right? Well, it comes down to me being overly picky, but the load times on the PS4 can be a bit long. That said, this is one of the most polished indie titles I have played, and it shows that the team at Night School Studio is about presenting a flawless experience. The fact that I’m complaining about load times, which aren’t even that bad, shows that this game has definitely received some proper development time. 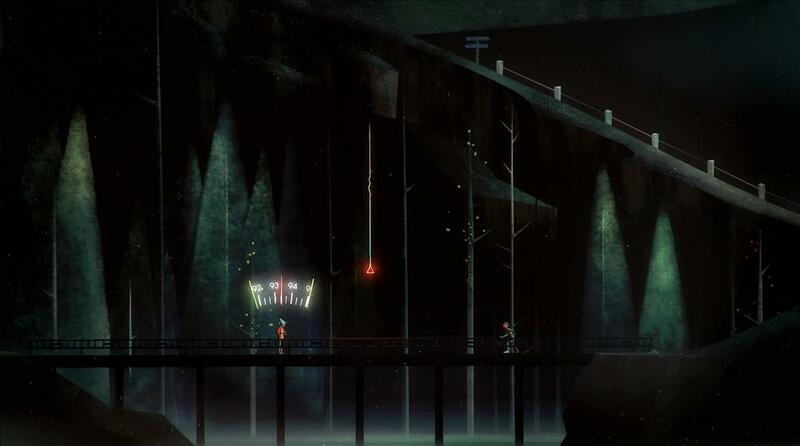 With multiple story paths and decisions that ultimately affect your ending Oxenfree tells a compelling tale of teenage angst, dealing with loss, and acceptance, while wrapping it up with a rather clever horror angle. It also feels like one of the most human tales I’ve seen in gaming in quite a while. All the characters feel relatable, and most importantly believable. In an era where we get a lot of over the top characters, it’s nice to see something a little more down to earth. 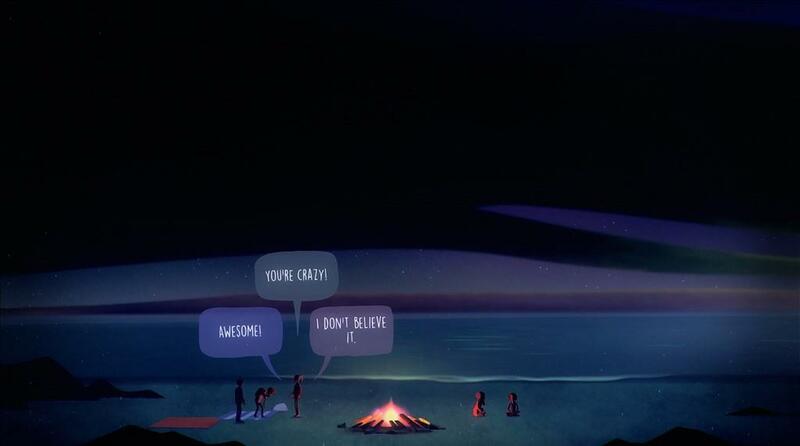 I fell in total love with Oxenfree, and I’d like to think everyone else out there could too. It’s a good slow burn across the four to six hours it’ll take to get through this, and then hopefully like me, you’ll be hungry for more and dive back in. 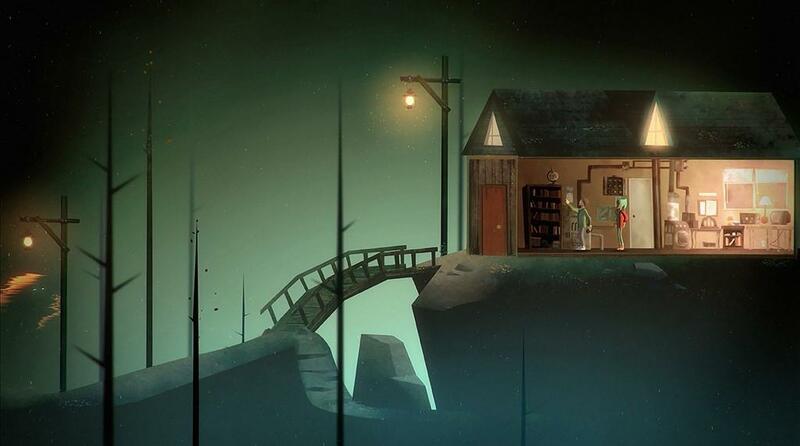 Oxenfree is everything that is right in the indie development scene. It tells a great story, has really unique gameplay that's almost completely dialog driven, and has some of the most subtle horror elements I've seen in a game. This is one of those games that you shouldn't sleep on, make sure you check it out.